Nick Howard M.D. of Baileys of Bristol said ”Morland are a supplier who can support a lean manufacturing ethos. They have proven this over many years with all the twists of turns of the market”. Baileys of Bristol have been manufacturing touring caravans for over 60 years and are now one of the largest manufacturers in the UK. Morland has been a major supplier to Bailey for over 30 years. As production increased, space became an issue on site and the challenge was to reduce the footprint of raw materials and to remove space consuming operations. A classic lean manufacturing challenge. A system was devised whereby Morland became completely responsible for the logistical management of all relevant materials. Morland analyses the bill of materials for each model, then using a powerful MRP system, coordinates with Bailey’s production schedule. This allows Morland to plan the delivery of parts in separate modules, planned according to when they are required to meet final assembly dates. In addition Morland undertook several machining functions which meant that a large number of parts are delivered ready for assembly. The result is that Bailey has been able to reduce storage space considerably, and the inventory of parts supplied by Morland is now little more than the production requirement for one day. The risk to Bailey was significant given that they had no buffer stock. 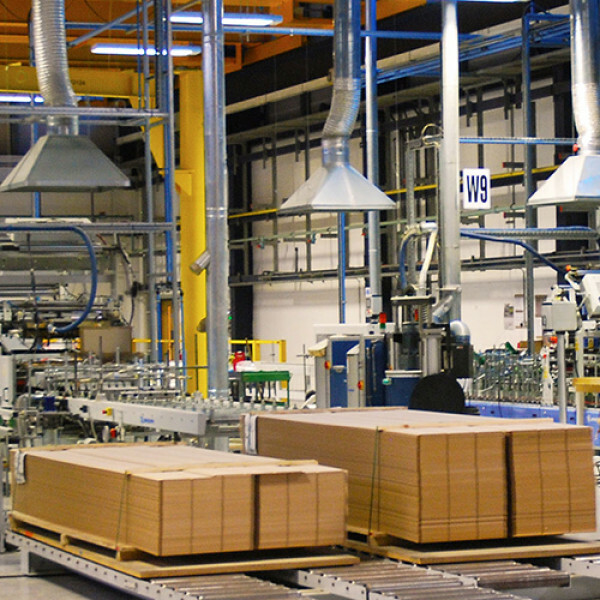 Case study of Morlands support for a lean manufacturing ethos.